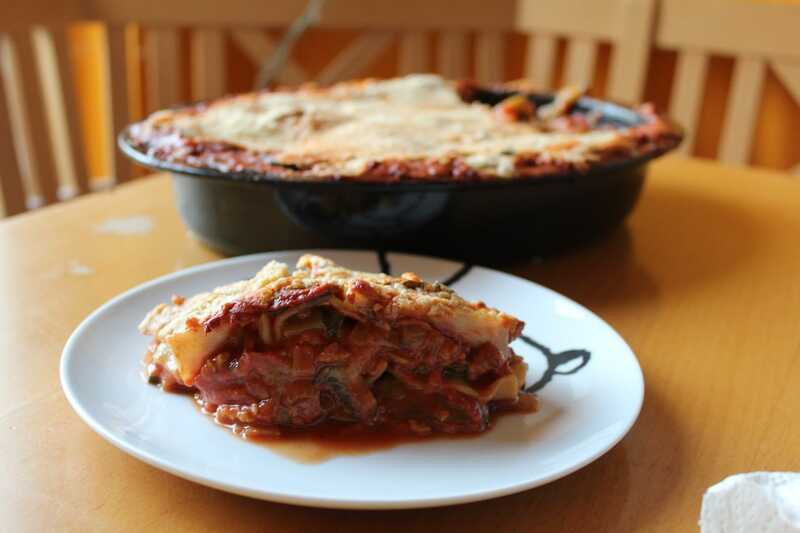 Today we have a delicious lasagne recipe for you. Additional I want to say that we use yeast melt instead of using expensive vegan cheese. It was just as delicious☝?. Cut the onions, leek and garlic and roast them. Then add the zucchinis and soy granules. Finally add the chopped and passed tomatoes. Stack vegetables, lasagna plates and yeast melt. Bake the lasagne by 180° for 25 minutes in the oven. Melt the margarine and mix this with flour. Add the remaining ingredients and stir to a creamy mass.